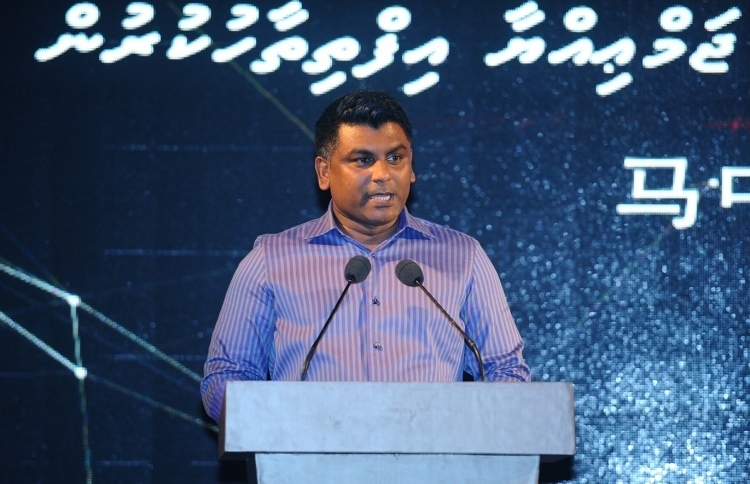 The former chief of staff at the presidential residence was arrested on his return to the Maldives. 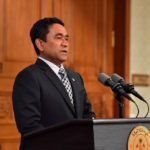 The former chief of staff of the presidential residence was arrested Saturday night on suspicion of tampering with evidence, days after police sought corruption charges against former president Abdulla Yameen. 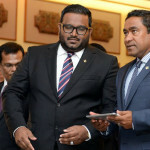 Ahmed Mustafa, a close associate of the former president, was arrested from the Velana International Airport upon his return to the Maldives from Bangkok, Thailand. The criminal court has since remanded him to police custody for 10 days. Mustafa is accused of seeking to influence witnesses in a case related to alleged bribery and undue influence in the leasing of an island for resort development. 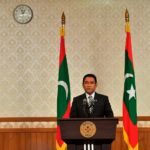 His arrest comes after police asked the Prosecutor General’s office to press charges against Yameen over alleged money laundering and lying to the Anti-Corruption Commission during its investigation into the theft of US$90 million from the Maldives Marketing and Public Relations Corporation. Police also sought charges against Yameen’s former legal affairs minister Azima Shukoor, who is accused of being an accomplice, according to a press statement on Wednesday. The former president has denied the corruption allegations. His lawyers accused the new administration of “targeting” the opposition leader ahead of the upcoming parliamentary elections. “President Abdulla Yameen does not believe that any money earned by the state through MMPRC was deposited into Maldives Islamic Bank (MIB) account or any other bank account belonging to President Yameen,” the legal team said in a statement. 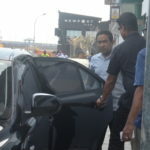 Yameen was questioned in December over US$1 million deposited to his account at the Maldives Islamic Bank by SOF, a local company that was used to funnel resort acquisition fees paid to the MMPRC. Weeks after he left office in November, Yameen’s bank accounts were frozen with more than MVR100 million (US$6.5 million) in US dollars and local currency as police launched a probe into campaign contributions and the US$1 million from SOF. But his lawyers insisted no state authority or court has definitively said that the money deposited into the MIB account belonged to the state. 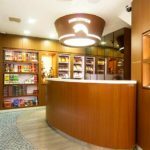 “While SOF is a company that has carried out many businesses in Maldives and many Maldivian companies and individuals have done financial transactions with the company, there has been no investigation or criminal charges against them,” they added. In December, the anti-corruption watchdog revealed that at least MVR1.4 billion (US$91 million) was siphoned off through a private company into the bank accounts of 155 individuals. The commission has yet to disclose the identity of the beneficiaries. 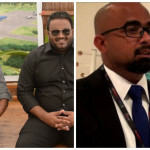 Meanwhile on Saturday, the MMPRC’s former managing director, Abdulla Ziyath, was transferred to house arrest on the orders from the home ministry. He was serving an eight-year jail sentence for the theft of US$5 million from the MMPRC. Ahmed Lugman, a spokesman for the prisons authority, told the Maldives Independent that Ziyath was released under a 2015 regulation that allows inmates to be released temporarily with permission from a person designated by the commissioner of prisons. © 2015 - 2018 Copyright Maldives Independent. All Rights reserved.